Impact strikes are a rare but dangerous threat to spacecraft. 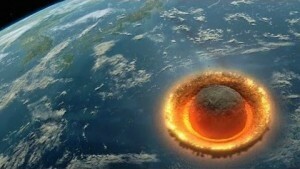 The highest threat is for spacecraft in near-Earth orbit, where decades of satellite debris have accumulated. Given the tremendous speeds of orbiting spacecraft, even a fleck of paint can pose a threat. Beyond Earth orbit the threat is less, but it isn’t zero, as demonstrated by a rare impact with the Lunar Reconnaissance Orbiter (LRO) currently orbiting the Moon. The impact was small, and the spacecraft survives. The effect was so subtle that it would likely not have been noticed if the orbiter wasn’t taking images at the time. You can see the effect of the impact in the image above. It was taken in 2014 by one of the LRO’s Narrow Angle Cameras. These cameras take high resolution black and white images of the lunar surface. To take these images, the camera scans the surface line by line, Taking a narrow line image of the surface one after the other to create a complete picture. As you can see in the image, the sharp resolution near the top shifts suddenly to a wiggly image. This means the camera was jostled suddenly as it gathered lines of images. 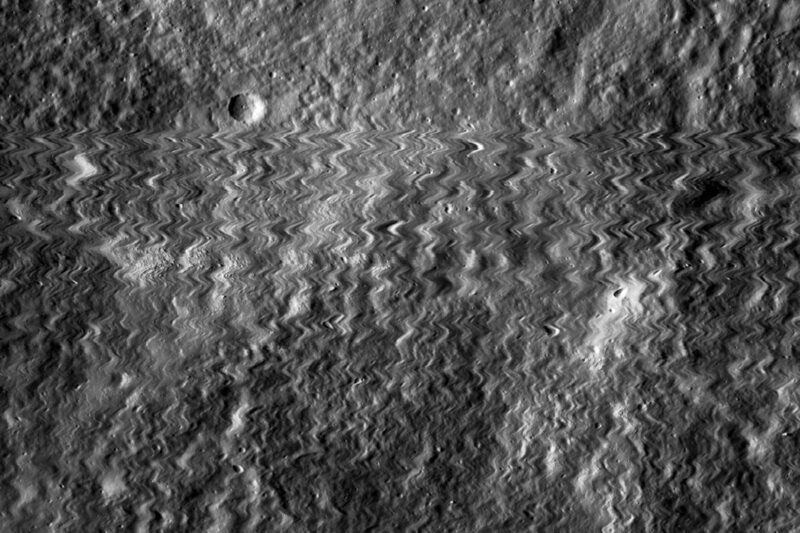 The LRO has two Narrow Angle Cameras, as well as a wide angle one, and only one Narrow Angle Camera showed this wiggly effect. This means the satellite itself was not jostled in a significant way, but only one camera. I found more details here: http://lroc.sese.asu.edu/posts/973 According to that article, the diameter is based on assumed values for the density and velocity. It seems they didn’t work out the velocity from the image. I was trying to work out how the could have gotten the mass and velocity when all they had was the change in momentum of the camera. 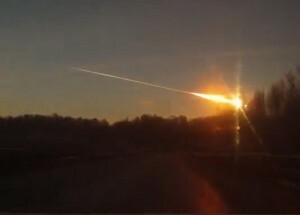 I probably missed this in elementary school but, how does a meteorite gain that much momentum for such a long period of time?